Summer is a time to celebrate with friends and family, and what better place to do that than right here in the beautiful SLO CAL. We&apos;ve compiled the best summer itinerary that teens, toddlers, mom, dad and the whole family will enjoy. 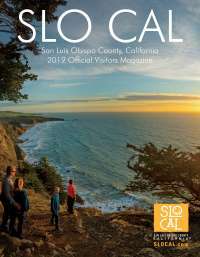 From jumping through waves to experiencing the wild west, SLO CAL has it all. Check out our favorite family-friendly activities. Farmers markets are in full swing this Summer, and you can find one in just about every city in SLO CAL. Arroyo Grande, Atascadero, San Luis Obispo, Pismo Beach, Los Osos/Baywood Park, Paso Robles, Morro Bay, Nipomo, Templeton, Avila Beach, Cambria, and Cayucos all have incredible farmer&apos;s markets that you will want to check out. Nearly every day of the week there is a market somewhere in this county, selling fresh, local food and produce. These markets have so much to choose from, the whole family will want to tag along. 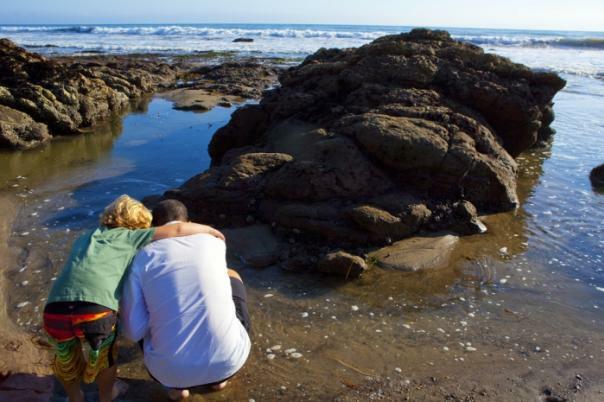 Head over to Montaña De Oro State Park or Pismo Beach to check out some truly awesome tide pools. These beautiful spots in nature are perfect for exploring wildlife and enjoying the views. Head down at low tide to find starfish, sea cucumbers, anemones and so much more. One of the hidden gems of SLO CAL is Lazy Arrow Outdoor Adventures! Take a rustic tour of the grounds and see what life was like living on a ranch with wild buffalo roaming all around. This unique ranch offers many activities for families with children of all ages. Come disconnect from your phone for the day, or camp out for the weekend to truly enjoy life away from the hustle and bustle of the city. Lopez Lake is home to one of the most family-fun water parks in SLO CAL, and it is sure to be a trip the whole family will enjoy! Mustang Waterpark has thrill-seeking rides teens will enjoy as well as kiddie pools for the little ones. Get yourself a snow cone and enjoy this unique attraction. If you&apos;re spending the day up in North County, bring the family to the Ravine Waterpark in Paso Robles. Set squarely in the midst of vineyards and wineries, this waterpark has a bit of something for everyone, and is a great way to cool off on those hot summer days. There&apos;s so much to explore in SLO CAL, it&apos;s sometimes hard to decide where to start. Central Coast Outdoors offers guided tours that will allow you and the whole family to go out and about on some of SLO CAL&apos;s best hikes, kayaking tours, or cycling excursions. If you&apos;re interested in journeying on your own, Avila Beach Paddlesports, Central Coast Kayaks in Pismo Beach or The Paddleboard Company in Morro Bay all offer rentals of various types of water equipment so everyone in the family can find something they enjoy. SLO CAL is home to some incredible beaches. Some beaches are off the beaten path but perfect for family getaways. Moonestone Beach in Cambria is one of the most picturesque places explore. Help the kiddos gather moonstones - for which the beach was named - or explore the tidepools before hitting up one of the delicious restaurants close by. Sandspit beach is also another hidden gem perfectly situated for you to enjoy nature while walking along a sandy beach in Morro Bay State Park, surrounded by crashing waves. Fisherman&apos;s Beach in Avila Beach is perfect for everyone - including your pup! Let the whole family run, jump and paddle through the waves at one of this quintessential family beach. If you want to relax with a delicious picnic lunch, San Simeon Point at W.R. Hearst State Beach is the place to do it. With beautiful views (can you spot Hearst Castle?) and trails to explore, your fam will enjoy a day surrounded by Monterey pines and maybe even a passing pod of dolphins. Bring the whole family over to the SLO Botanical Gardens this summer to learn about sustainability while appreciating the beautiful surroundings. Drop the kids off for their Kids&apos; Adventure Camp where they&apos;ll enjoy four days of learning about mediterranean climate zones while scientifically studying SLO CAL&apos;s local environment. Using hikes, gardening, art, cooking, live animals and other hands-on activities, campers discover the relationship between plants and people. Another great way to learn while you play is to spend a day at one of SLO CALs children&apos;s museum. Let your kids be a firefighter for a day at the Paso Robles Children&apos;s Museum, play up and down the three floors and outside playscape at the San Luis Obispo Children&apos;s Museum, investigate and discover science at the Exploration Station, interact and educate at the Coastal Discovery Center in San Simeon, a joint venture between Monterey Bay National Marine Sanctuary and California State Parks, or learn something the history of railroad in California at the San Luis Obispo Railroad Museum. Each one provides families the opportunity to participate in activities that challenge you to learn something while having fun!